Participants in the Royal Canadian Navy’s Canadian Leaders at Sea program tour HMCS Windsor on November 15. 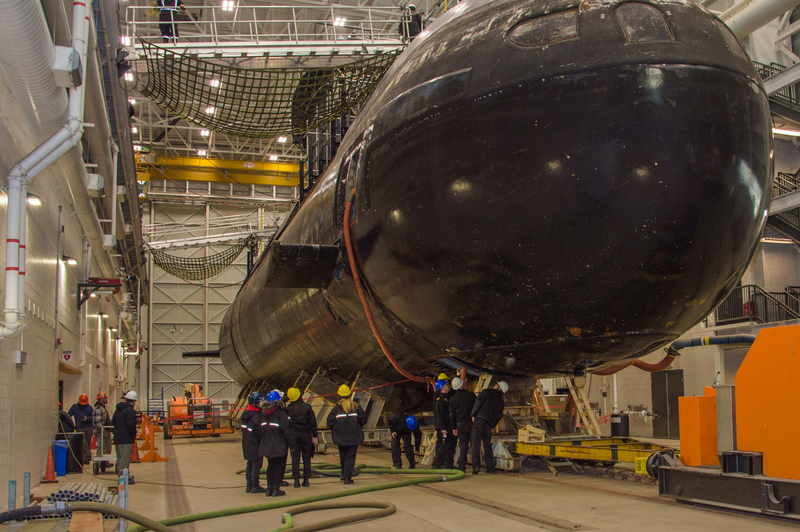 The submarine is currently in a transitional docking work period for maintenance and capability upgrades. The group also toured other key Formation Halifax facilities and spent a night at sea in HMCS Charlottetown.